The Jockey Club today released Report of Mares Bred (RMB) statistics for the 2016 breeding season. Based on RMBs received through October 15, 2016, The Jockey Club reports that 1,423 stallions covered 33,746 mares in North America during 2016. Based upon historical reporting trends, The Jockey Club estimates an additional 2,000 to 3,000 mares will be reported as bred during the 2016 breeding season. The number of stallions declined 1.8% from the 1,449 reported at this time in 2015, and the number of mares bred decreased 2.5% from the 34,627 reported last year. The number of stallions covering 100 or more mares decreased from 105 in 2015 to 100 in 2016. These stallions accounted for 40.6% of the total mares reported bred this year versus 41.8% of all mares bred in 2015. RMB statistics for all reported stallions in 2016 are available through the Fact Book section of The Jockey Club’s website at jockeyclub.com. Further book size analysis shows a 5.4% decrease in the number of mares bred to stallions with a book size of 100 or more in 2016 when compared to 2015 as reported at this time last year; a 15.5% increase in mares bred to stallions with a book size between 75 and 99; a 2.6% decrease in mares bred to stallions with a book size between 50 and 74; a 4.4% increase in mares bred to stallions with a book size between 25 and 49; and a 7.8% decrease in mares bred to stallions with a book size fewer than 25. The stallion Uncle Mo led all stallions with 253 mares bred in 2016. Rounding out the top five by number of RMBs were Into Mischief, 218; American Pharoah, 208; Kitten’s Joy, 201; and, tied for fifth, Goldencents, Verrazano, and Wicked Strong, 190. Kentucky traditionally leads North America in Thoroughbred breeding activity. During 2016, Kentucky’s 227 reported stallions covered 17,750 mares, or 52.6% of all of the mares reported bred in North America. The number of mares bred to Kentucky stallions increased 1.73% percent compared with the 17,448 reported at this time last year. Note: Each incident in which a mare was bred to more than one stallion and appeared on multiple RMBs is counted separately. As such, mares bred totals listed in the table above may differ slightly from counts of distinct mares bred. In addition, Report of Mares Bred information on stallions that bred mares in North America is available through report 36P or a subscription service at equineline.com/ReportOfMaresBred. 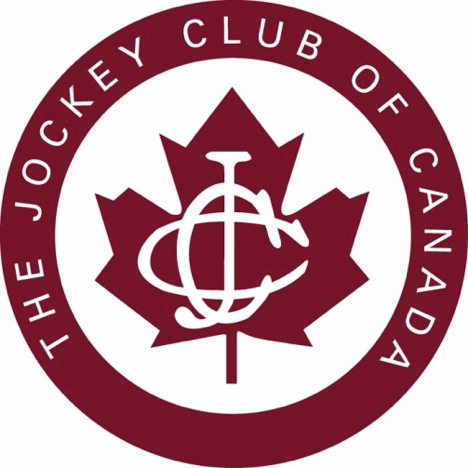 The Jockey Club, founded in 1894 and dedicated to the improvement of Thoroughbred breeding and racing, is the breed registry for North American Thoroughbreds. In fulfillment of its mission, The Jockey Club, directly or through subsidiaries, provides support and leadership on a wide range of important industry initiatives, and it serves the information and technology needs of owners, breeders, media, fans and farms. It is a founding member of the National Thoroughbred Racing Association, the International Federation of Horseracing Authorities, and the Coalition for Horse Racing Integrity and the architect and sole funding source for America’s Best Racing, the broad-based fan development initiative for Thoroughbred racing. You can follow America’s Best Racing at americasbestracing.net as well as on social media platforms Facebook, Twitter, Pinterest, Google+, and Instagram.